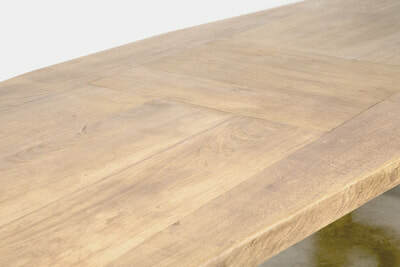 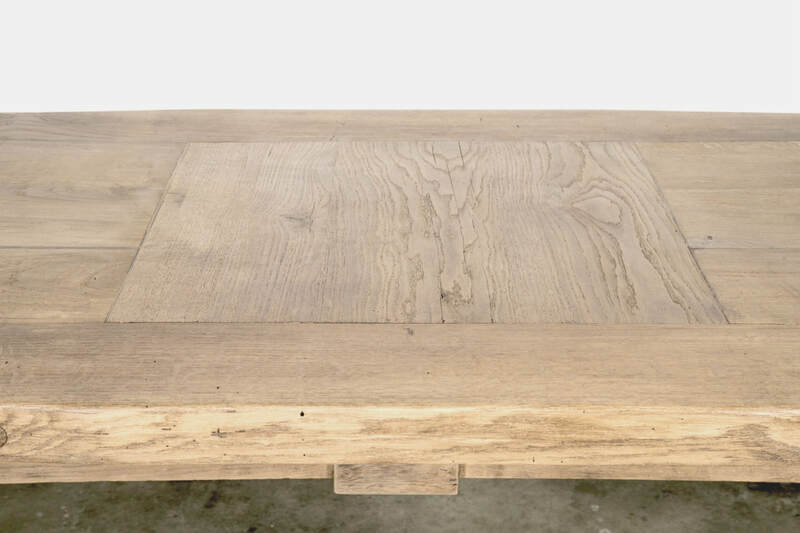 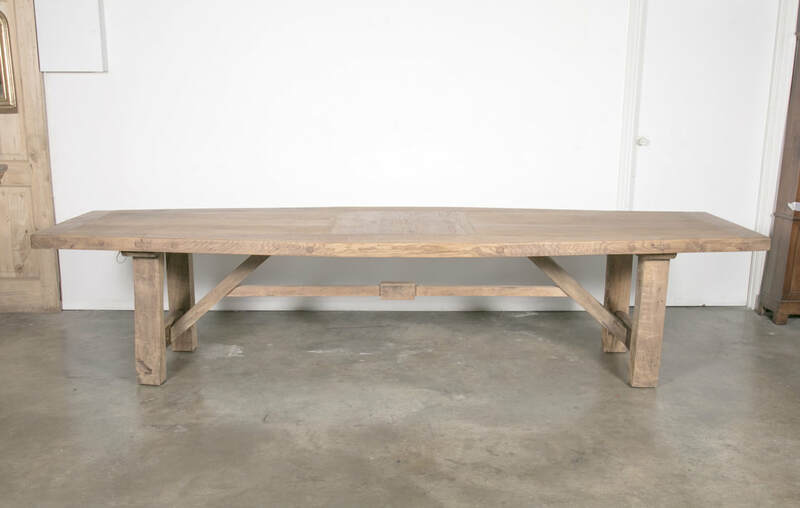 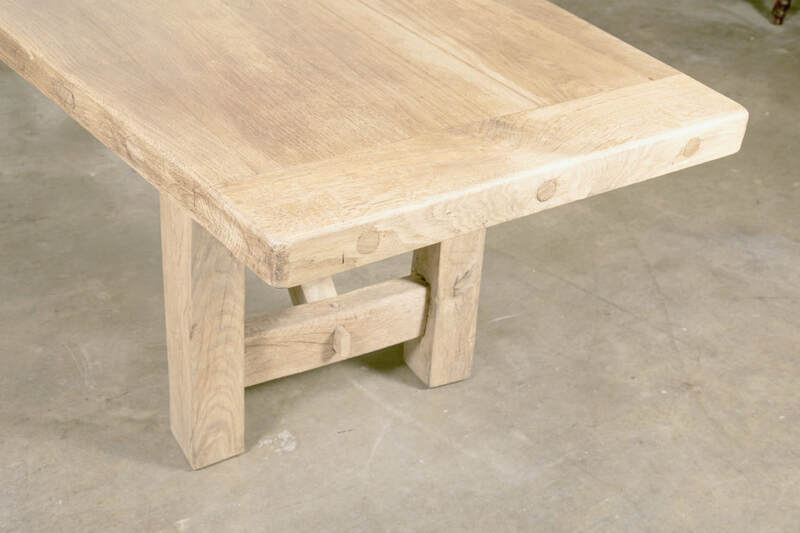 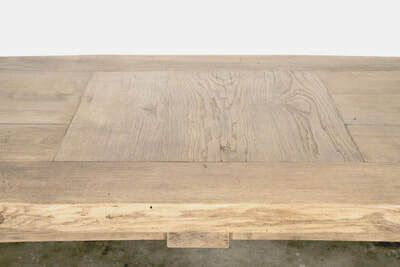 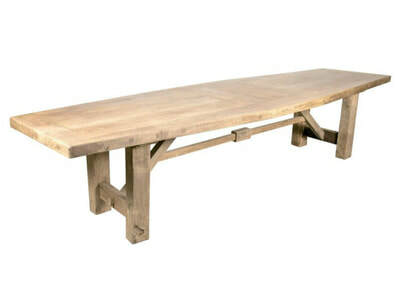 A very large bleached or washed oak French farm table handcrafted by rural artisans near the seaside resort of La Baule in southern Brittany. 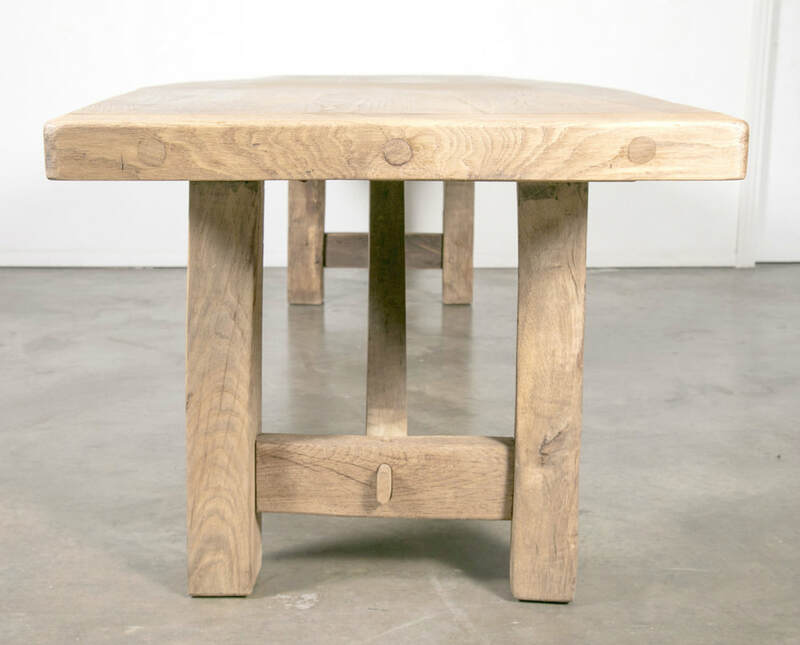 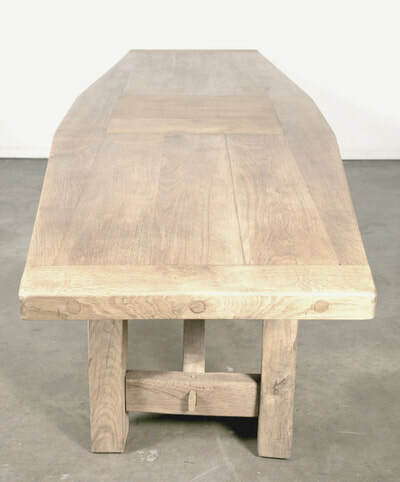 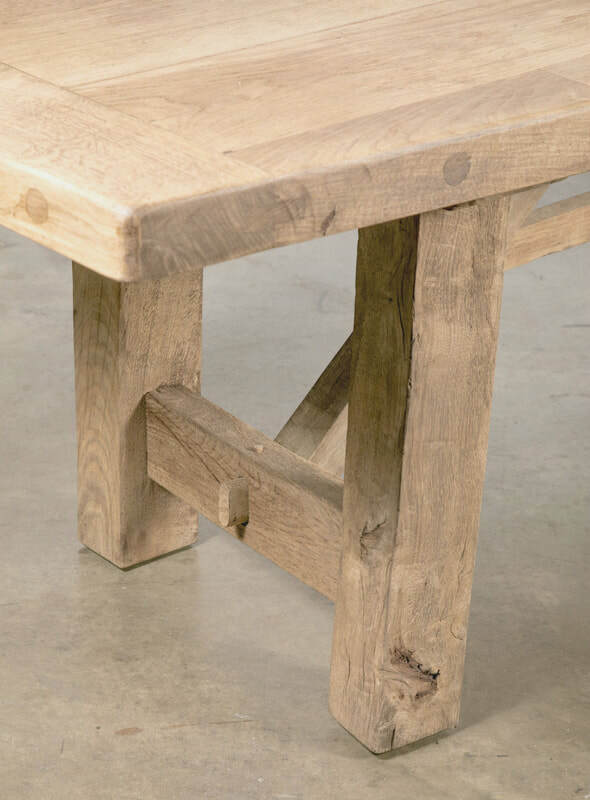 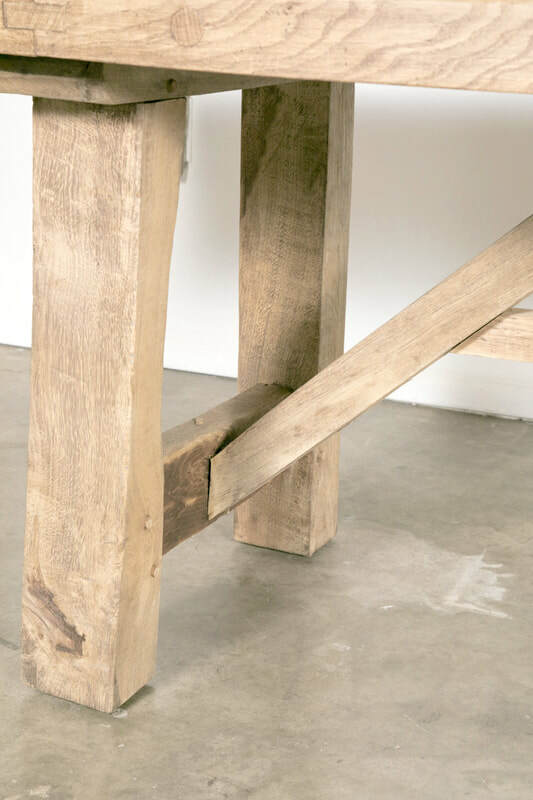 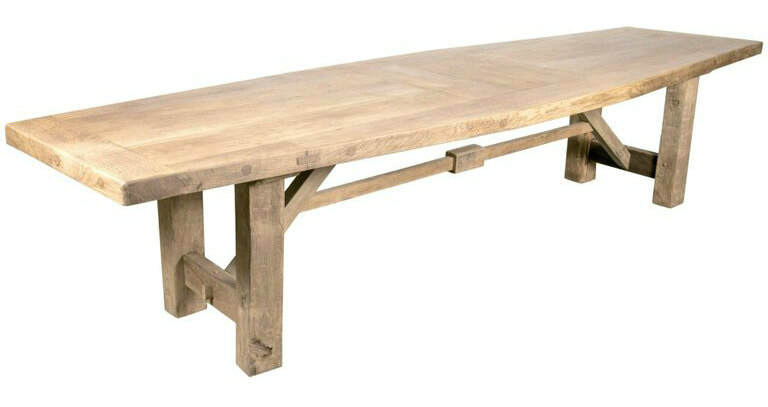 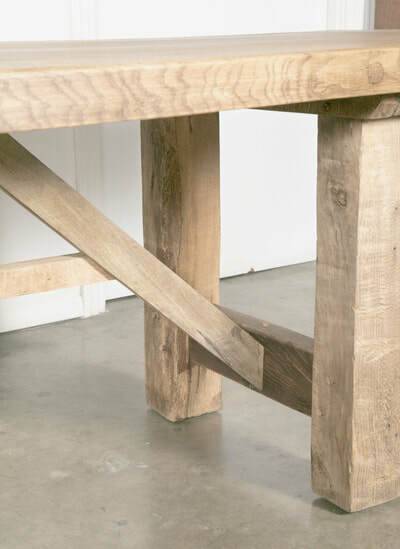 This wonderful 19th century French farm house trestle table is of superior quality to any modern table, having a thick, framed angular-shaped solid oak three-plank top with the center being wider than the ends. The heavy block legs are joined by a center stretcher. 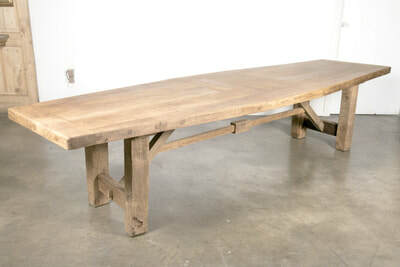 The design is very rustic which lends itself to any home. At almost 11.5 feet long, it's a great size and will seat 10 to 12 comfortably.